It’s the heart of the city, the height of activity, lit up at night with glittering wooden river boats criss-crossing between its banks, providing an enviable venue for evening dining and carrying enraptured tourists to floating markets and other cultural hubs. 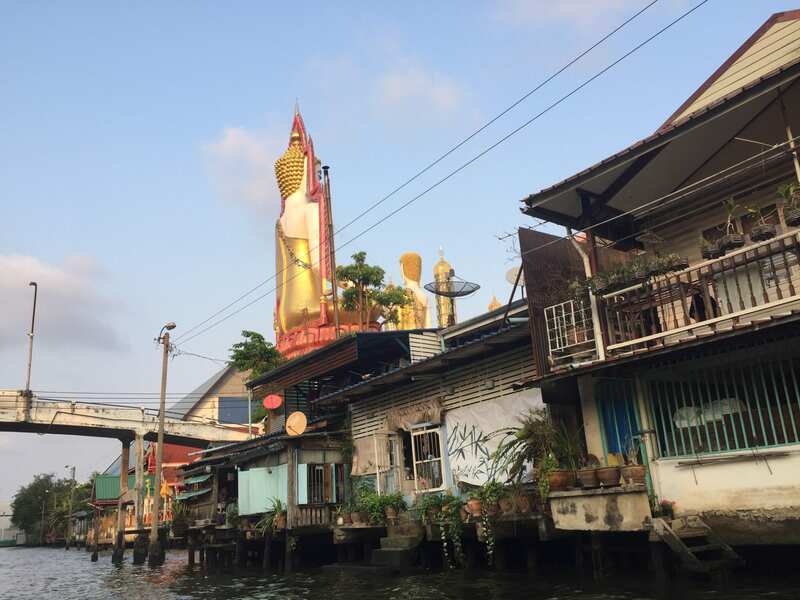 The Chao Phraya River, (meaning The River of Kings), is the lifeblood of this intoxicating metropolis. Sophisticated and dynamic, Bangkok has a rich, exciting and multi-faceted personality, with hip bars residing in the shophouses of Chinatown, majestic royal palaces, ancient temples and world class hotels. Shop for designer items in the malls and then head to markets to haggle over fake copies while every type of cuisine is on a menu, dining in, out or from street stalls. Uneven paths lead from the piers to warrens of winding alleyways populated with bicycles and baskets brimming with goods, herbal pharmacists with remedies from old wooden stores and warehouses that used to store spices and salt, stalls buzzing, mopeds and tuk tuks vying for space. But it is the river that is the main artery breathing oxygen into its tributaries. 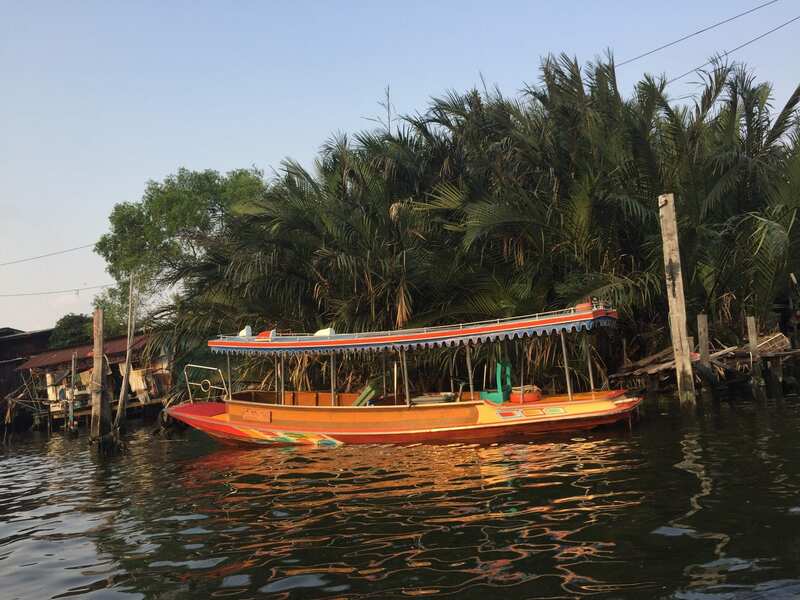 The Chao Phraya River boats are a great way to experience this place and the best guide to getting under the skin of this bustling city. 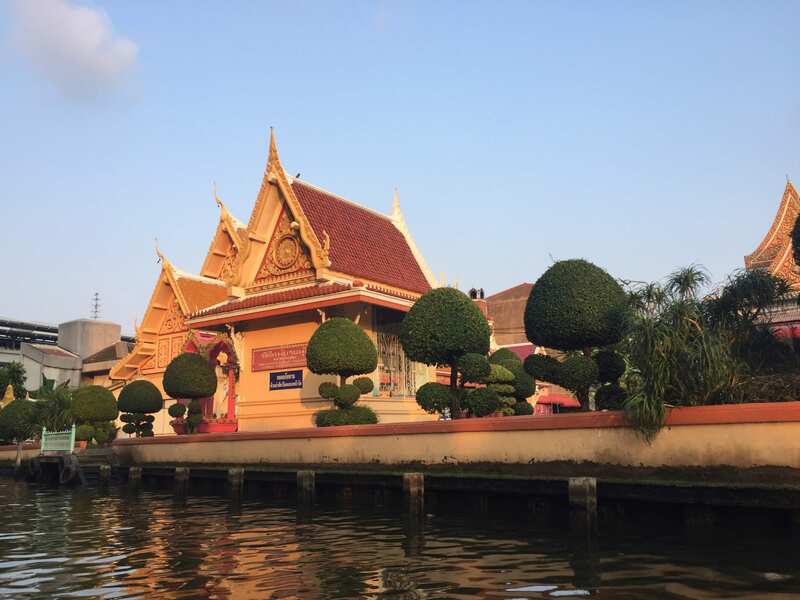 Don’t miss the opportunity to branch off the main thoroughfare for a tour of the khlongs (canals) in a longtail riverboat. Here, the buzz of the main river route stills as you enter the maze of these backwaters. Local life here is real and raw. 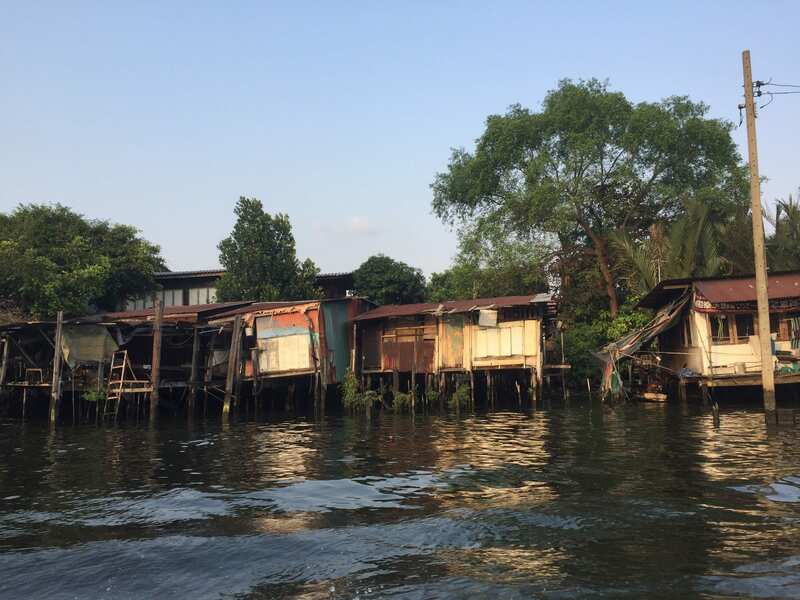 Homes on stilts, people washing underneath at the river’s edge, clothes drying on rocks. Yellow flower garlands in honour of Buddhist prayer rituals proudly sit in enclaves along the way. Temples come into view, in full golden glory rubbing shoulders with wooden shacks hanging on to life. Quiet poverty, tucked away from neighbouring five-star elegance, a world removed from silver service. The river is murky and meandering, life on its banks quirky but unfeigned. As the sun sets, the stupas glitter and spires appear golden. Gilded splendour and a reclining Buddha reflect hope and light. Exiting the narrow canals, riverside life announces its presence with hotels lining its banks, roof top bars enjoying panoramic views with visitors sipping cocktails toasting the city’s skyline and watching the zigzagging boats feeding the city’s culture, a scene far removed from the inner network of the Chao Phraya River.